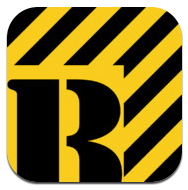 This app generates inspection reports and requests for information (RFI) for architects, engineers, inspectors and contractors. To complete an inspection report, users simply take a picture of each item with their tablet or smartphone, with the ability to make notations directly on the image or add a text description next to it. Once the report is complete, a PDF can be generated and e-mailed to all necessary parties. The RFI function is similar — simply snap a photo of the drawing or construction area and make notations directly on the image. The RFI can also be generated as a PDF and e-mailed. A free version is available which puts a watermark on generated PDFs and cannot e-mail PDFs.